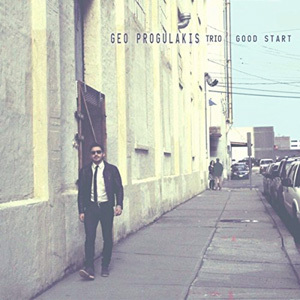 The very young pianist Geo Progulakis, introducing his 2015 debut recording which is appropriately entitled Good Start, is quick to say that his musical direction is “deeply rooted in the Jazz tradition, and also inspired by 20th century composers”. While the evidence supports this belief and in his polytheistic bent of mind presiding deities include Thelonious Monk and Keith Jarrett as well as Claude Debussy and Maurice Ravel, a dive into the deep end of his music will immediately result in a certain stillness that comes from summer in the Chilean desert. One is also sure to discern subtle rhythmic suggestions of Diabladasin the staggering runs and glorious arpeggios of “Arica” where his left hand chases his right one up and down the piano keyboard as he hints at traditional promptings too. 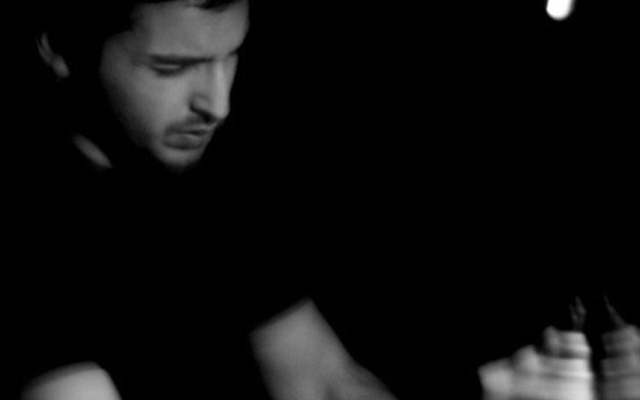 Geo Progulakis has a lithe, airy style in his melodic inventions and silences play an important role in his aural tapestry. Both “Flicker” and “Letter To My Dad” reflect the richness he imparts to the pregnant pauses in his lines, especially in the latter piece. It is as if he is beckoning us to experience a wistful unfolding of extraordinary upward moments in a singular harmonic conversation in quiet veneration; notes suspended in the air, chords whispering in that air, disturbed as if by springing gazelles. The playful “Unstable Balance” hints at the Velvet Gentleman in its spare, Satie-like dalliances. The breathtakingly genteel has a sudden tinge of sadness in its melodic line and this turn takes place with the subtle introduction of slurs followed by accidentals and chord changes form major to minor and back again. It is a consummate display of musicianship that bodes well for the music to come from this extremely talented pianist. And “Microwaved Salad” is downright puckish and its simple melody not only keeps dissolving in a downward spiral, but it also enables pianist and bassist to establish a dialogue born of a dance imbued by more than a generous hint at folksiness quickly dissolving into a swinging walking movement beautifully executed by bassist Luca Rosenfeld. It is heartening to hear musicians pushing each other to explore music as Geo Progulakis, Rosenfeld and a very talented drummer, Zan Tetickovic do. It also gives credence to the idea that Jazz is just as likely to cause a spark that ignites the forest fire in the heat and dust of the folk-heavy cultures of South America as it does in the hallowed concert halls of Europe. Track List: Flicker; Good Start; Bla Bla; 26 Hope; Letter To My Dad; Arica; Unstable Balance; Vino Veritas; Microwaved Salad. Personnel: Geo Progulakis: Piano; Luca Rosenfeld: Bass; Zan Tetickovic: Drums.